Who Grinds the most flour? Flour is an essential ingredient for all kinds of cooking. While many associate it primarily with baking, flour is also essential for pasta, crackers, and much more. In fact, humans have been using it in their cooking since 6000 BCE with the Neolithic Revolution — after all, flour is wheat grain ground into a fine powder, with different levels of particle size. The modern process is a bit more complicated than its Neolithic counterpart, but the general idea is the same. When it comes to modern day flour production, California leads the way. The wheat industry here is robust, and with that comes flour grinding difficult to match by any other state in the nation. 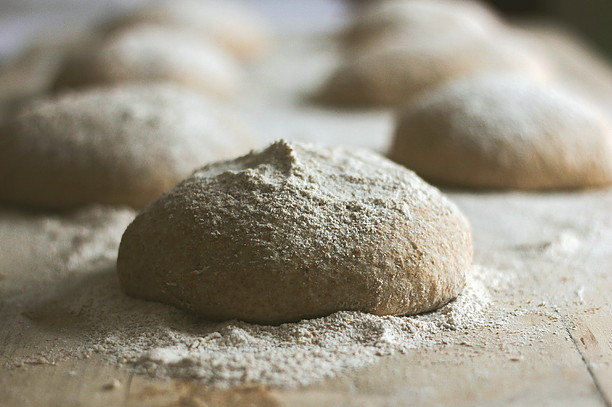 Learn all about how California grinds more flour than the rest of the country, and discover how the California Wheat Commission leads the industry in small-to-medium boutique and specialty milling. From June 2018 to September 2018, the United States as a whole ground up 232,908,000 bushels of wheat for flour. Of that total, 16,816,000 of it came from California. This is over 7 percent of the entire nation’s flour supply. Kansas used 15,917,000 bushels of wheat for flour while Minnesota used 14,784,000 bushels. Back in 1983, the California Wheat Commission was established in an effort to improve the quality and marketability of wheat grown in California. By using targeted research and market development, the CWC was able to help California reach the top spot in flour production that it holds today. This research includes funding for a wheat breeding program and field trials to maintain quality and support development of wheat varieties. While there are 17 similar wheat commissions across the country, only the California Wheat Commission has their own milling and baking laboratory. With that kind of resource on site and easily accessible, quality testing and chemical analysis is easier than ever before. The CWC even analyzes experimental wheat varieties to find new and more efficient ways to produce wheat and flour. Considering how much diversity California wheat has, it’s no surprise that the state is also the leader when it comes to specialty milling. With their commitment to enhancing California wheat as much as possible, the CWC encourages all kinds of specialty wheat and milling in order to increase quality and variety for customers around the world. Following the increase of demand for specialty flour, the market has grown around 8 percent in the past four years. California growers played a large role in making that happen. In addition to white flour production, small- to medium-sized California growers have worked together to push the state to the top of the specialty flour market, including whole grain flours. Not only does this make flour more accessible to a wide variety of consumers, but it creates a more sustainable industry that will benefit California growers, as well as the state’s economy as a whole. There are five classes of wheat in California, and the CWC can help with them all. In fact, we focus on Hard Red Winter, Durum, Hard White, Hard Red Spring, and Soft White Wheat specifically when we perform quality testing and reporting. By emphasizing the essential differences in each, we provide growers with all the information they need to allow them more variety in the kind of wheat seed they wish to purchase. California continues to be the best place to grow wheat and mill flour. It grinds more than any other state, and that trend continues to grow as time goes on. The powerful industry in this state, however, is just the beginning of all the benefits growers can enjoy. The CWC is happy to offer assistance with any technical questions, in addition to offering training programs for milling and more in our very own milling laboratory. Contact us today to learn more about how we can help keep California the leader in wheat and flour milling.